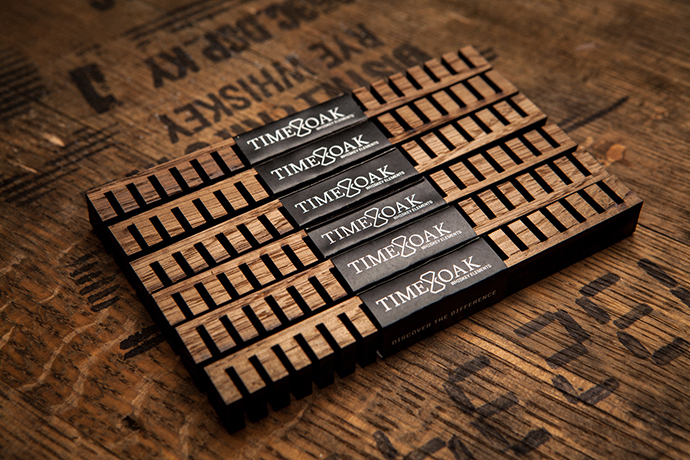 Make whiskey smoother with these Whiskey Elements (aging sticks) from Time & Oak. The sticks work in 24 hours. Add one element to a fifth or two Elements to a half gallon of whiskey, shake occasionally to agitate and then enjoy your customized whiskey the next day. Can leave in the Elements as they will continue to improve the flavor over a period of several days. Do not leave over 10 weeks. The sticks are available in two flavors, Maple-Vanilla-Oak and Mellow Smoke & Oak. Available at Time & Oak.